The brain requires about 20 percent of your body’s total oxygen– and even more when your brain is in ‘overdrive’! Research carried out at the Human Cognitive Neuroscience unit at the University of Northumbria, shows that cognitive performance can be greatly improved by inhaling pure oxygen. 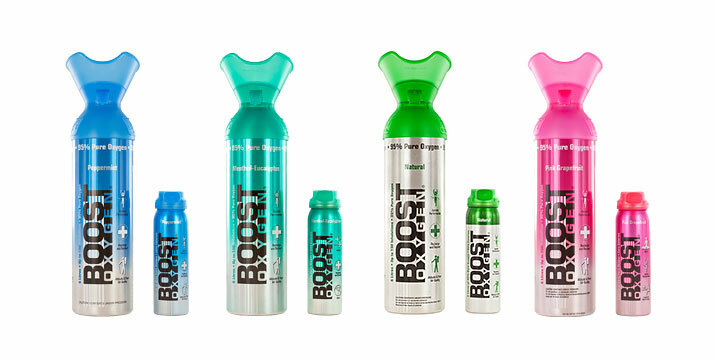 For peak mental performance we recommend Boost Oxygen Natural or Boost Oxygen Menthol Eucalyptus. Take three to five inhalations before an event to enhance concentration and mental clarity. FAB UK MAGAZINE: THE MORNING AFTER THE NIGHT BEFORE...HANGOVER FREE!